The 2019 McGowan Leadership Scholarship Award Application is now available. NOAH established the Michael J. McGowan Leadership Scholarship Award in 2008 to recognize leadership and empower young people with albinism. 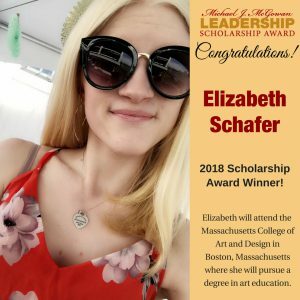 The NOAH Scholarship Committee is pleased to announce that Elizabeth Schafer is the 2018 recipient of the Michael J. McGowan Leadership Scholarship Award.